There are luxury baby bags and then there are luxury baby bags that are so steeped in indulgence they’re in a world all of their own. If you fancy the idea of a baby bag brimming with luxury design and gold hardware, then design duo Claudine & Ash have you covered. 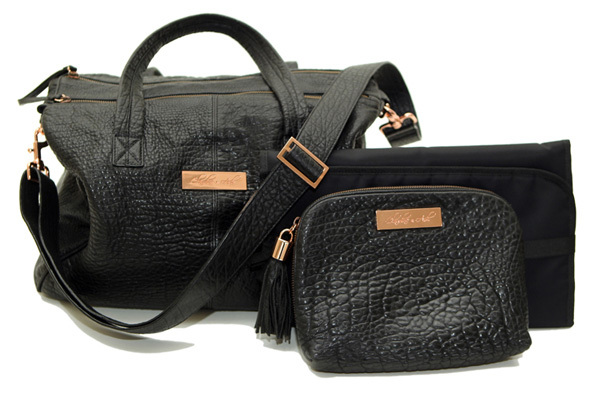 Claudine & Ash create timeless leather baby bags that are nothing short of stunning. The black Kalani bag is made from luxe goat leather and includes amazing rose gold hardware. There is no mistaking this bag’s quality – the Kalani’s signature plaque, internal key fob, even bottom feet are all in rose gold giving it a premium edge indeed. 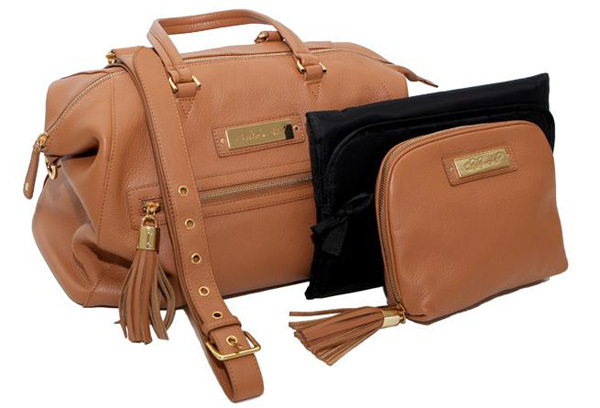 The Andie bag from Claudine and Ash is a stunning day baby bag option in easy to wear caramel coloured leather. An external zipped pocket with fun leather tassel makes keeping all those things you need in a hurry – be it a dummy, a rusk, a much loved toy or your phone – handy and easy to access at a moment’s notice. The Kalani is priced $470 and Andie bag is priced $380, both are fully lined and include a nappy purse and change mat to make sure all your baby paraphernalia needs are met with triumphant style!